I hear it sing in Plato and Dover Beach. I see it in Cezanne and mist-shrouded mountains. I touch it with sweaty fingers on violin strings still ringing with the last chord of Stravinsky’s Firebird. I cry. Seven years of homeschool, then five at a classical Christian school, have taught me to recognize perfect beauty in life’s imperfections. My education has awakened my soul to the presence of perfection, to the true, the good, and the beautiful. That is my essential story. In my first memory of that other world, I was ten, standing in my bedroom listening to Monti’s Czardas, when a certain passionate bit of melody exploded inside me. It was painfully, agonizingly beautiful—not beautiful like a daisy, but transcendent beauty, a throbbing that echoed a near-sorrowful note in my breast. I wanted to scream along with the recording, or kick a wall, or throw something—anything to be part of what I heard. Retrieving my own instrument from my bed, I played the lovely melody, wanting so badly to put everything I felt—intensity and pain and ecstasy—into those notes. 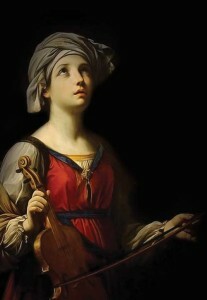 I pressed my bow harder on the strings, as if by brute force I could reach that perfect world of beauty. It didn’t work. My strings gave a shuddering crunch. I was left with an overwhelming sense of longing, an ache. At first, it was a nameless ache. In my homeschool years, my days were filled with peaceful solitude: the simple joys of music (violin and piano practice), great literature (two required hours of reading time every afternoon frequently continued far longer), drawing (still-lifes and quasi-self-portraits), and nature. Our rural wooded property, in Mississippi and later in Kentucky, became the backdrop for hours of wandering and intricately imagined dramas. No one taught me that school was supposed to be boring, so I was not bored. I became enchanted by learning. And I began to feel the strange pain associated with intense beauty; without knowing what it was, I fell in love with that feeling. My relationship with the other world had begun. In seventh grade I started at a small, classical Christian school which developed in me a sensitivity to the three great medieval principles. I learned about truth from Aristotle, goodness from Augustine, and beauty from the Latin of the Aeneid. I began to connect truth and goodness to the haunting glimpses of transcendent beauty I still experienced: reading the recognition scene in Oedipus Rex; discussing the existence of God for hours at a debate tournament; listening, entranced, as my calculus teacher explained the scarily perfect, seemingly coincidental relationship between the antiderivative and the integral. It felt as it did at age ten—the fluttering heart, the exhilaration, the lingering hurt. And still, I loved the hurt. I came to name that ache as a longing for a better place. In Plato’s Forms and Dante’s Divine Comedy, I encountered the idea that earthly creation only reflects the perfection of a heavenly realm. Then we read The Tempest. When Caliban described the beauty of his dreams, exclaiming, “when I waked/ I cried to dream again,” I recognized his dream world as the presence I felt that caused the ache—the way things should be, but weren’t quite. Caliban’s dream world, Dante’s Ninth Sphere, Plato’s Forms, Truth, Goodness, and Beauty in capital letters—whatever the name, that’s the source of all I love and weep for: music, the perfect prayer; calculus, whose order and coherence point to a deeper structure; Shakespeare and Socrates because I agree with Keats—“Beauty is Truth, Truth Beauty.” All beauty and goodness whisper the truth of my other world to me. My goal for my college education and beyond is simple: I want to encounter and pursue the things that make me, like Caliban, cry to dream again. I believe in another world—and that makes all the difference in this one. Miss Collum is a student at Highlands Lain School in the class of 2014. This essay was her college admissions essay. She was accepted to Princeton last November. Originally published in The Classical Teacher Spring 2014 edition. 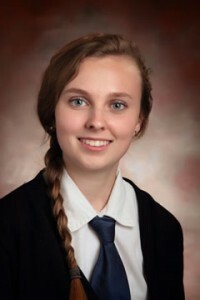 An alumnus of Highlands Latin School and current student at Princeton University, Maggie Collum wrote this inspirational as her college admission essay.